What's black and white and pink underneath? 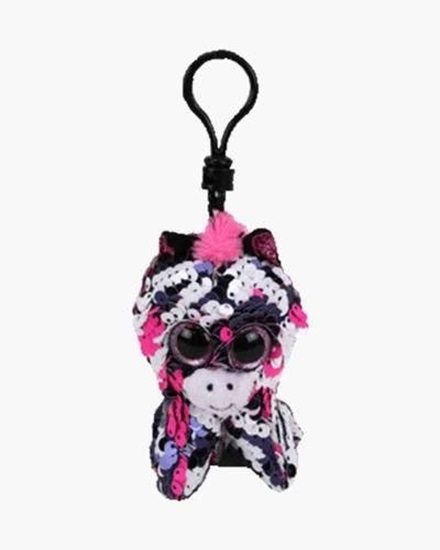 This girly little plush zebra! Her sparkly pink ears and hooves add spunky style to her classic black and white stripes. But to really bring out the girl power in this small stuffed animal, brush your hand across her reversible sequins to make her pink and white all over. Zoey is approximatley 3.5 inches tall and is perfect for ages 3 and up.